Sputnik: What do you make of the vote and the outcome? John Strawson: Well obviously I think it’s very good that the Labour party has finally adopted the International Holocaust Remembrance Alliance definition and all the examples. What’s curious is of course adding this about Freedom of Speech particularly in relation to Israel and the rights of the Palestinians. On the one it looks like what’s the point of the examples that the definition already provides for criticism of Israel if it’s similar to that of other countries so that would include the rights of Palestinians, so it’s a little odd that has been added. Sputnik: Was Mr Corbyn right to try and add a further statement about it should not be regarded as anti-Semitic to describe Israel, its policies or the circumstances around its foundation as racist or could this further undermine his leadership? John Strawson: What’s interesting is that the National Executive Committee from what one gathers, John Landsman who is the leader of momentum on the executive committee was very keen to make it clear that addendum would not be acceptable to the NEC. 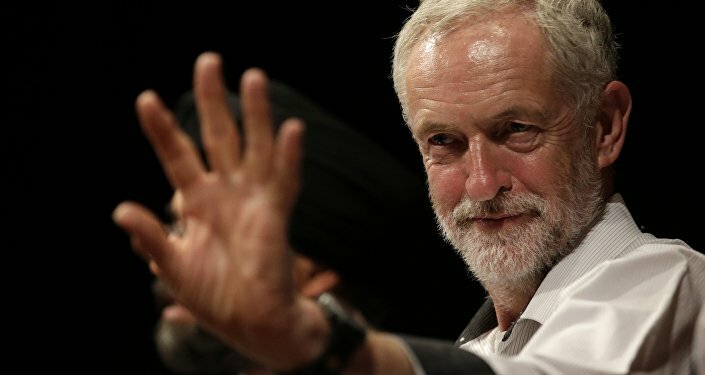 It is interesting because I think it shows one of the problems OF Jeremy Corbyn is his rigidity in the way he has approached this question and one might say other questions as well, is that he simply does not have the flexibility or the sensitivity to some of the issues he needs to give leadership on, so I think it creates all sorts of problems for Jeremy Corbyn. Sputnik: Can the Labour party move on from this now or has there been too much that has tainted them? John Strawson: I think Jeremy Corbyn has a major problem, as Margaret Hodge he is the heart of the issue. 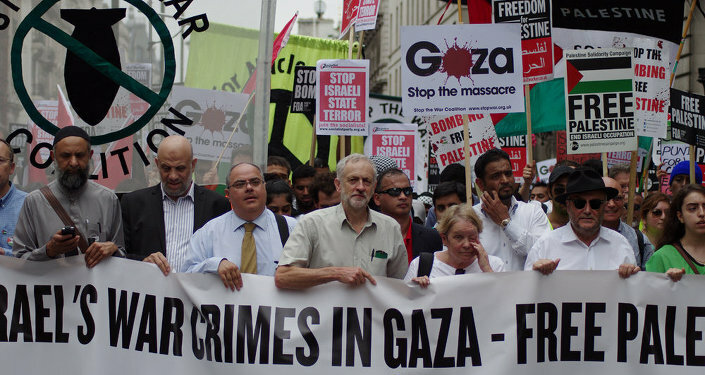 His associations in the past with Hamas and other extreme organisations on the Palestinian side, does pose some big problems for him and he also made that terrible speech on Zionists not getting English irony. So I think there’s a real issue for Jeremy Corbyn, to leading the Labour party to where it needs to be. I think it quite extraordinary as British politics is highly divided over the question of Brexit, we have a real crisis looming in March next year with a possibility of a no deal Brexit and we have an opposition simply not functioning.